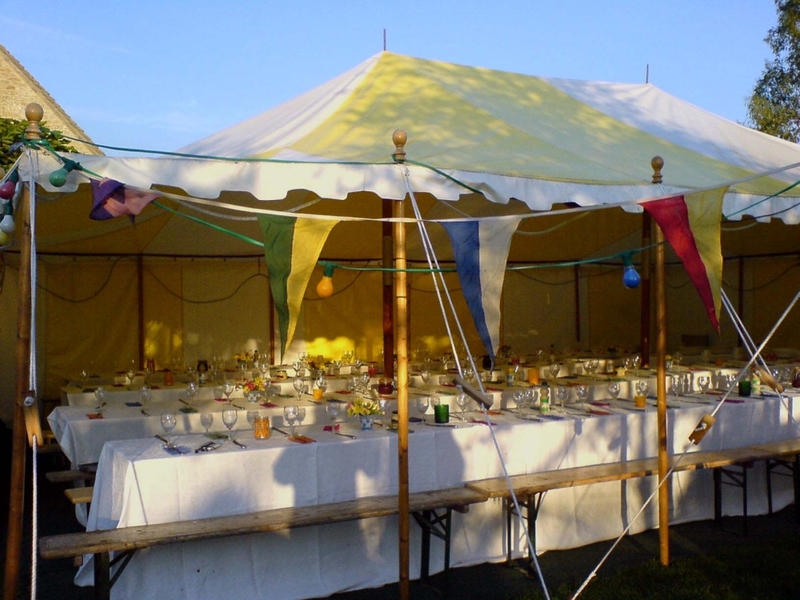 This is Top Up Tent’s most precious tent – it is the one that started the business and ultimately helped to fund two degrees and several more marquees! 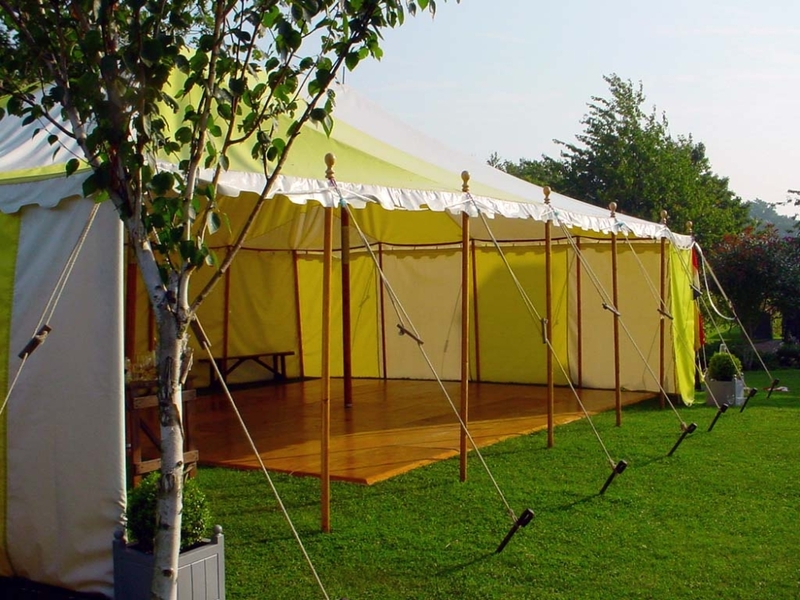 The coated canvas uses a particularly beautiful shade of yellow creating a wonderful marquee both inside and out, all year round. 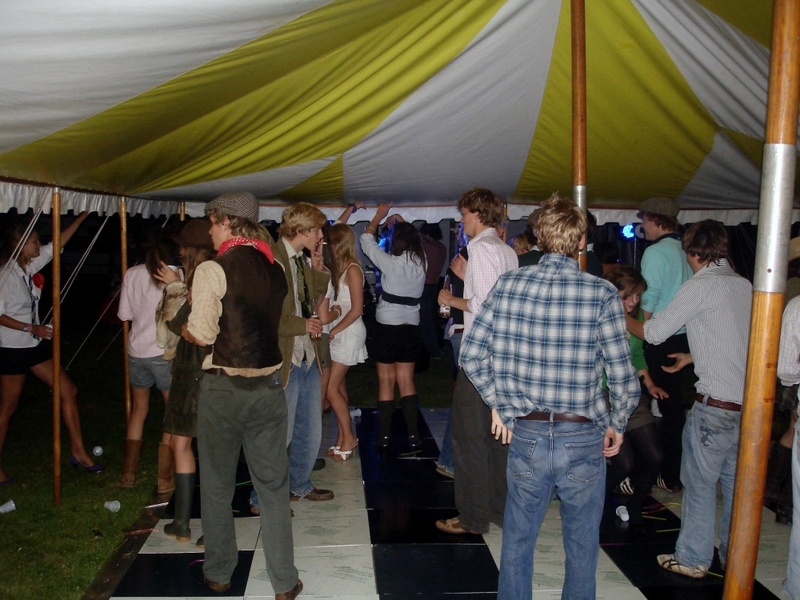 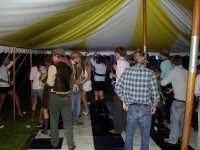 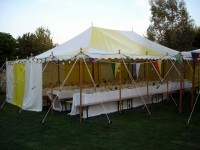 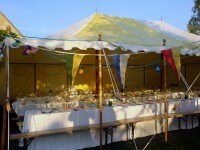 Its traditional style means the marquee takes to village fetes, summer parties and other family functions perfectly! The list of its uses is endless because this has without doubt been our most popular marquee! 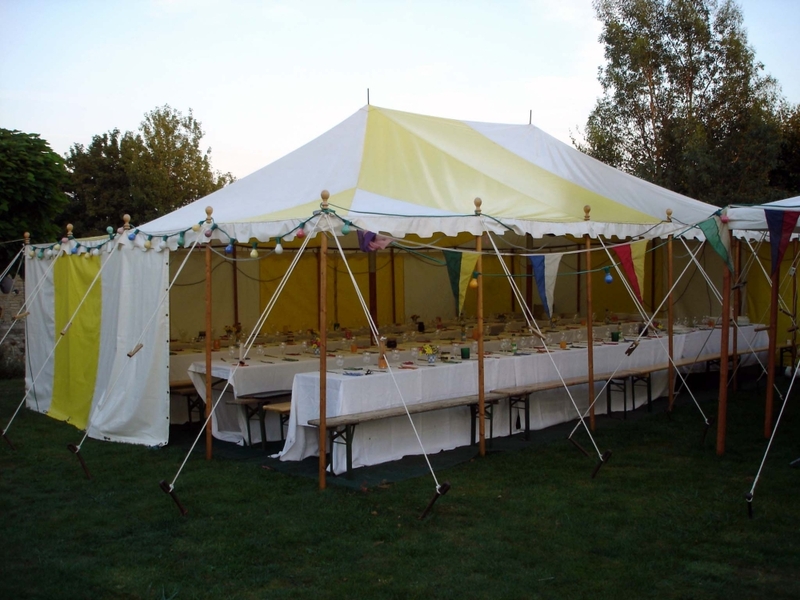 The Yellow & White 20 x 30ft marquee uses a premium flame resistant pvc coated canvas and is finished to the high Top Up Tent standards with hand-carved wooden dollies atop all poles!